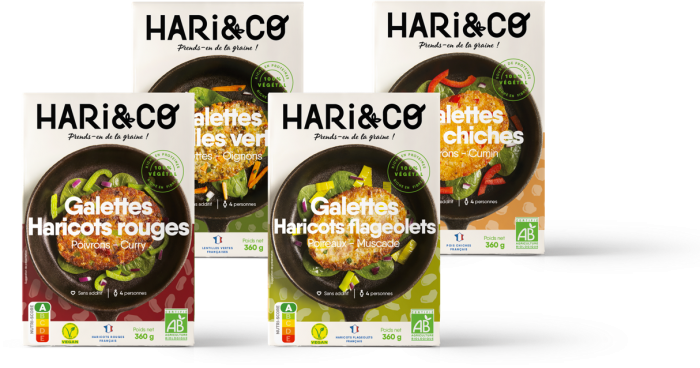 HARi&CO flageolet bean burgers contain beans, leeks, nutmeg, and a host of other tasty ingredients delicately combined in a succulent, organic, and 100% plant-based recipe. 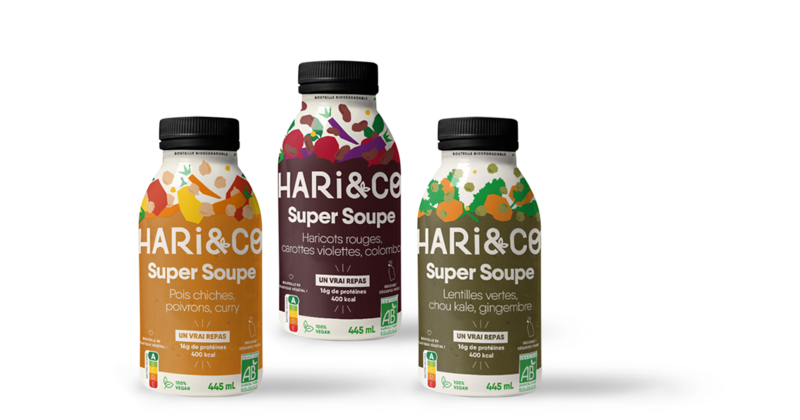 Wholesome and filling, they will supply you with a portion of your daily required protein and fibre intake. Good for you and good for the planet! Our product composition is short, simple, and made up of organic and natural ingredients! 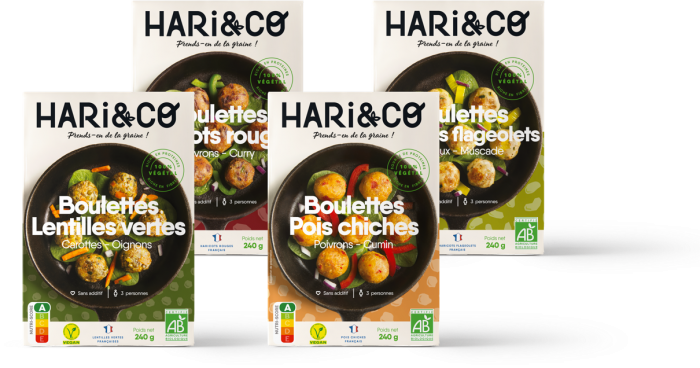 Green flageolet beans (50%)*, cornmeal*, wheat semolina*, wheat flakes*, leeks (4%)*, sunflower oil*, cauliflower*, wheat flour*, onions*, spinach*, sea salt, garlic*, Provencal herbs*, nutmeg (0, 04%)*, pepper*.